This document is disseminated under the sponsorship of the U.S. Department of Transportation in the interest of information exchange. The contents of this report reflect the views of the authors, who are responsible for the facts and the accuracy of the data published herein. 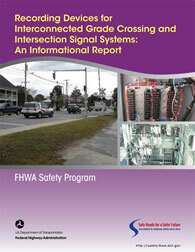 The contents do not necessarily reflect the official view or policies of the Federal Highway Administration (FHWA). The U.S. Government assumes no liability for the use of the information contained in this document. This report does not constitute a standard, specification, or regulation.